French and Vanessa Claire Stewart have been set to host the 2015 LA STAGE Alliance Ovation Awards Ceremony on Monday, November 9 at the Ahmanson Theatre at The Music Center. Red carpet arrivals begin at 6pm and the curtain will rise at 7:30pm. 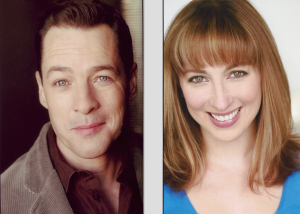 French Stewart has been a proud participant in L.A. theatre for the past 30 years, both as a member of Justin Tanner’s legendary Cast Theatre (Zombie Attack, Pot Mom, Party Mix, Teen Girl and Happy Time Xmas) and as a member of Sacred Fools Theater Company. Selected stage credits include Matthew Modine Saves The Alpacas, Watson, Voice Lessons, and Stoneface (at The Pasadena Playhouse). 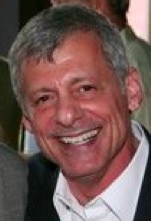 Stewart is best known for his work on the classic TV series Third Rock From The Sun. Other television credits include Seinfeld, The Larry Sanders Show, Just Shoot Me, The Drew Carey Show, Newsradio, Community, Psych, Bones, The Closer, Castle, Pushing Daisies, Private Practice, Mom, and a recurring role on The Middle. Stewart’s film credits include Stargate, Leaving Las Vegas, Surveillance, The Flock, and cult favorite Love Stinks. Vanessa Claire Stewart is co-artistic director of Sacred Fools Theater Company. She co-wrote and starred as Keely Smith in Louis and Keely: Live at the Sahara which won Ovation Awards for Best Actress and Best Musical and the LA Weekly Award for Best Musical. She also penned Stoneface for husband French Stewart. She is writing the book and lyrics for an original musical about serial killer HH Holmes entitled Deadly which was recently workshopped at Sacred Fools and The Chance Theater. Film and television credits include The List, Girls Girls Girls, Rules of Engagement, The Wanda Sykes Show, and the upcoming Sensitive Men. Sponsors for this year’s Ovation Awards ceremony are The Sheri & Les Biller Family Foundation, TheaterMania, Goldstar, Walt Disney Imagineering Creative Entertainment, USC School of Dramatic Arts, UCLA School of Theater, Film & Television, Variety, Green Hasson Janks, Bakers Man Productions, Performances Magazine, City Tavern, Peter Konerko Photography, and Ken Werther Publicity. 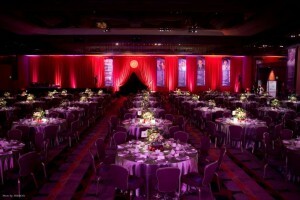 For more information and details on how to attend the Ovation Awards ceremony on November 9, visit www.OvationAwards.com. Chris Isaacson Presents has announced that Grammy Award-winning recording artist and music legend Thelma Houston will bring her new show My Motown: Music, Memories, and More to the Catalina Bar & Grill in Hollywood for two shows only on Friday, October 23 and Saturday, October 24 at 8:30pm. Perhaps best known for her number one international hit “Don’t Leave Me This Way,” Thelma Houston began her career singing for Capitol Records with The Art Reynolds Singers and then as a solo artist. “Sunshower,” her critically acclaimed album composed and produced by Jimmy Webb for ABC/Dunhill Records, was released in 1969 and spawned four popular singles. In 1977, her version of “Don’t Leave Me This Way” for Motown Records soared to number one in the United States and London and became a hit in at least twelve other countries. In her new show My Motown: Music, Memories, and More, Houston takes her audience on a musical and inspirational journey that chronicles her illustrious career. Sharing intimate stories and behind-the-scenes adventures against a tapestry of more than 20 classic Motown hits, Houston performs songs originally recorded by Stevie Wonder, The Temptations, Gladys Knight and the Pips, Martha Reeves and the Vandellas and more, leading up to her iconic Grammy Award-winning number one pop song “Don’t Leave Me This Way.” After 45 years of performing, 23 Studio Albums and winning a Grammy Award for Best R&B Vocal Performance, Houston continues to celebrate her long and outstanding career. On October 23, singer/songwriter Jade Hendrix will be opening for Thelma Houston. A native of Ojai, CA, Hendrix spends much of her time writing songs but has now realized her dream to become a singer as well with her debut CD “Carry Me Away.” She is now in the studio working on a new album. Thelma Houston will play two performances only at Catalina Bar & Grill, 6725 W. Sunset Boulevard in Hollywood on Friday, October 23 and Saturday, October 24 at 8:30pm. Doors open at 7pm for cocktail and dinner service. Single entrée or drink minimums apply. Admission is $20-$35 and VIP seating is available (including front row seats and a meet-and-greet with Ms. Houston) for $50. Purchases made before October 16 receive $5 off. Tickets may be obtained online at www.TicketWeb.com or by phone at (866) 468-3399. 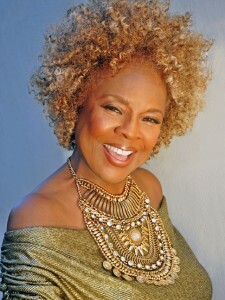 For more information, visit ThelmaHouston.com, ChrisIsaacsonPresents.com, or TicketWeb.com.